The Hand Sale in Notting Hill is a craft fair that I just cannot resist, it only takes the smallest amount of persuasion and I’m there. My will power is minimal when it comes to beautiful handmade goodies and an invitation by email and a nudge by my friend Sarah was all I needed to hop on the bus. I didn’t have long, about 40 minutes to whizz around, but I still found some sweet little objects I could not leave without. Here they are. 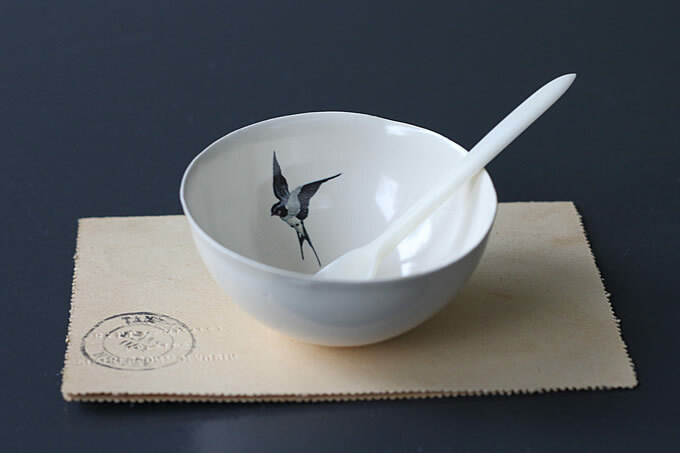 This little ceramic bowl is by Fliff Carr, the bird image came from an old book of her father’s and I love it. 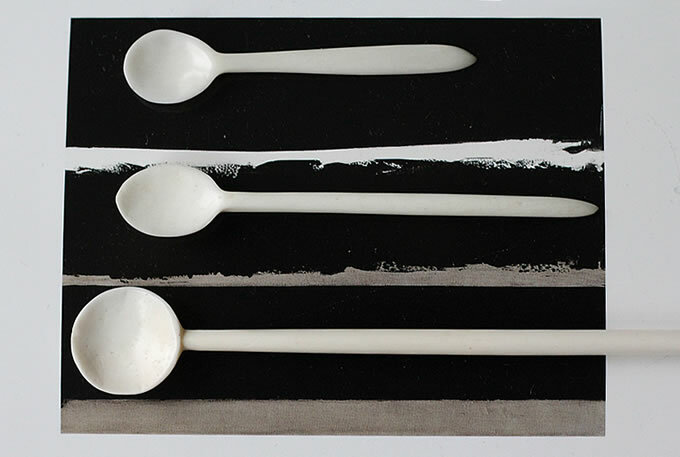 These little spoons are from Kirsten Hecktermann; a girl can never have too many beautiful spoons! I photographed them on a postcard of a painting by Pierre Soulages which I bought at his exhibition at the Pompidou Centre a couple of years ago, it brings back lovely memories of a birthday trip to Paris with my husband. Lovely little things to make a girl happy. Happy Friday everyone. I do consider myself very lucky. Since art college I have always done what I love – be creative – and have been fortunate to make a career from it. It’s not always easy and is often hard work, but being creative is very rewarding on a personal level. Beth Nicholls came along to the Decorate book launch at Liberty last month. Beth runs an e-course and an art and creative enterprise retreat in, guess what, how to do what you love for life. She asked if she could interview me and I said yes. The fabulous annual Chelsea Flower Show starts today, but what I wanted to show here is that you don’t always need to buy lots of fancy flowers and that you can make something little from your garden look really quite sweet. 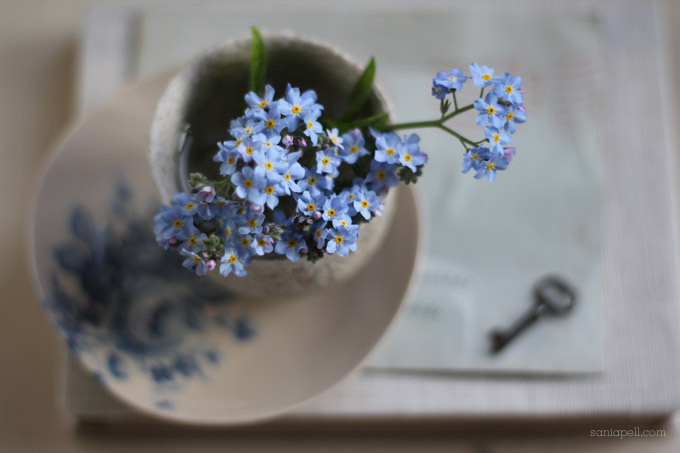 I picked and photographed these Forget-me-nots over the Easter weekend when they had just bloomed. These came from my tiny London garden but my plants were originally a donation from my parents’ garden in the countryside, where so many were growing that I was able dig up and transfer a few. I love that they are so commonly found and that tiny arrangements like these can be made really easily to display in your home. I love the soft blues with the little pop of yellow at their centre. 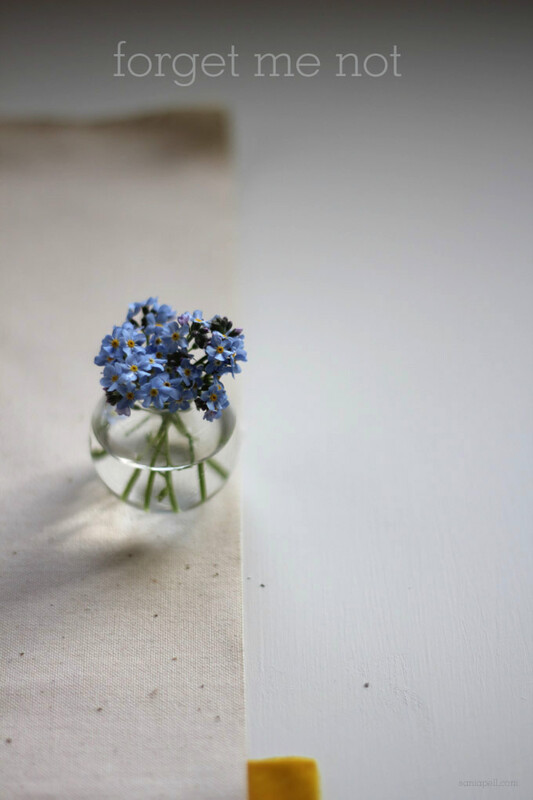 To me, the name Forget-me-not conjours up old fashioned love letters and romantic messages, so in this little shoot I wanted to reference this. I included some old typed envelopes, letters, a key and a note book that I bought at car boot sales. The little glass vase is a recent purchase from Designer’s Guild and is one from a set of six, the handmade saucer with blue flower print I bought a while back at The Hambledon shop in Winchester (I’ve been trying to remember who it is by, I should know but I just can’t think – does anyone know?) and the little bowl I bought at a Cockpit Arts open day one year. I love that they are just perfect miniature blooms that without something to gauge their scale, could be much bigger. I couldn’t help adding a little bit of wrongness to this shot with the addition of the cowboy gun charm. 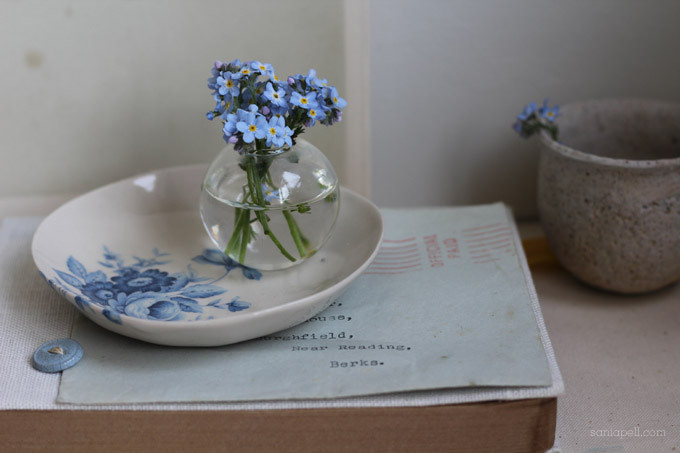 The Forget-me-not is a flower that grew in my parents’ garden prolifically. 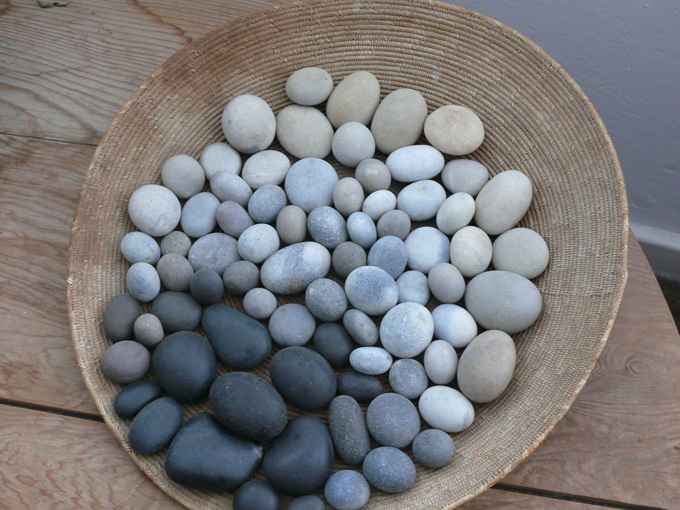 When I was little I would pick bunches of them and press them. It’s quite time consuming, placing each flower carefully on the card of the press, especially as they are so tiny, but worth it as they dry and keep really well. When they were ready a few weeks later, I would store them in an envelope to keep them flat. I would have a different envelope for each flower type and stick a flower to the outside for quick reference of what loveliness was inside. 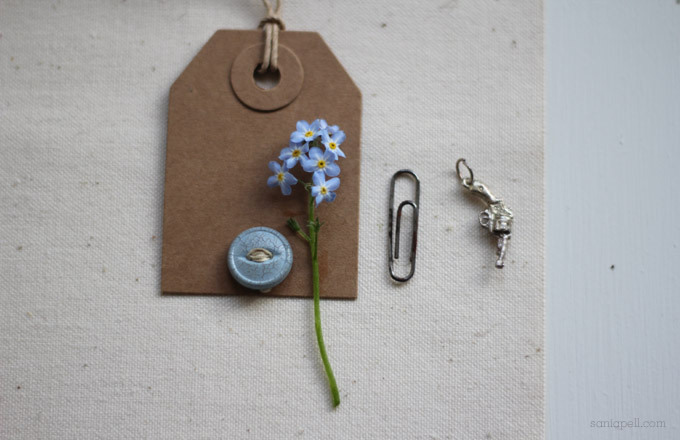 The dried Forget-me-not flowers work beautifully stuck to swing tags for gifts or to cards and pictures. I still press flowers from the garden, now with my little daughter as a helper (she loves it too). In fact I still have the press I had when I was little! 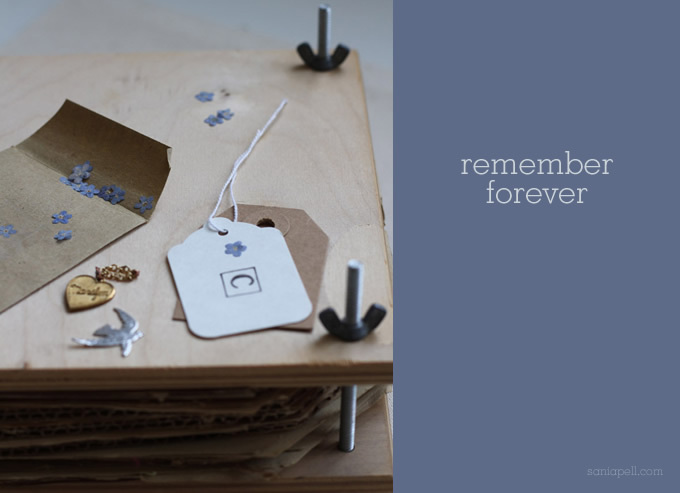 It’s a lovely way to never forget the Forget-me-not. I took a couple of hours out from making and writing yesterday as I had heard about the FOUND exhibition and sale and just had to go. And I’m so glad I did! It was full of the kinds of things I adore and I came home excited and invigorated. A bit of time out at something like this can sometimes be just what you need and I got lost in the beauty of everything here and found inspiration for the rest of my week. 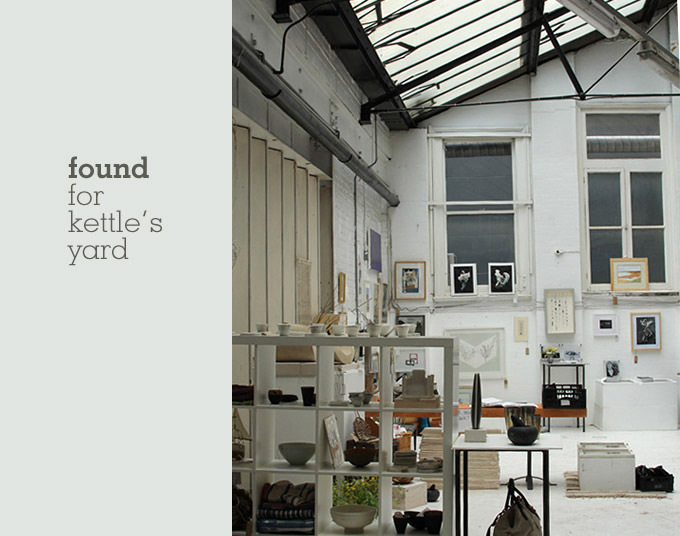 FOUND – A Garage Sale is a one off charity sale of artworks, found objects, textiles, rugs, furniture and crafts to raise funds for the new education wing of Kettle’s Yard house and gallery in Cambridge – one of my favourite places to visit in England. It’s no ordinary garage sale though! 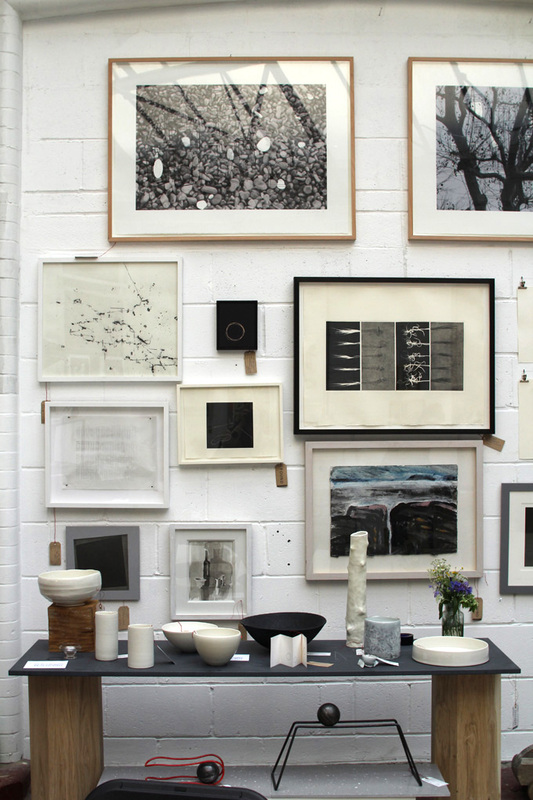 The sale is in The Brompton Garage on North Terrace in South Kensington and is chock-a-block with creativity and inspiring objects – just like Kettle’s Yard itself. Only here you can purchase all the items on show with new pieces arriving daily. Heaven! 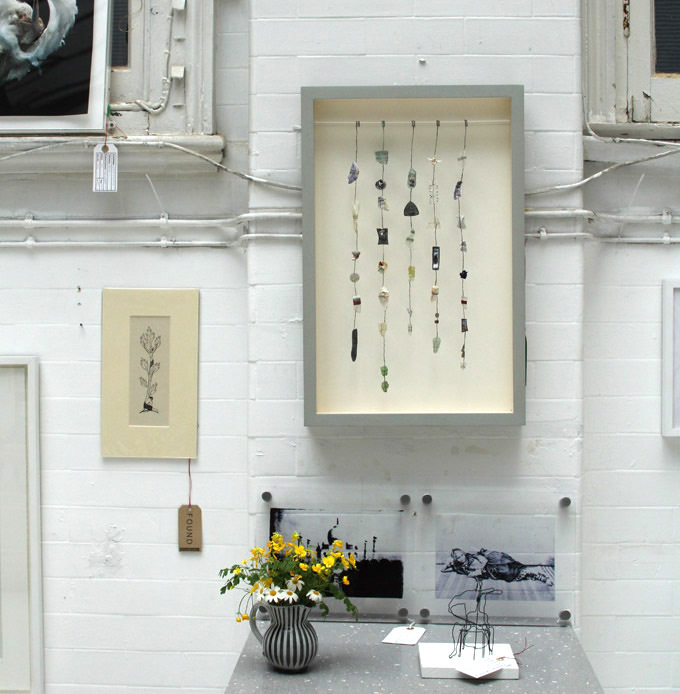 The items are displayed beautifully and you can spend from just one pound for something little to hundreds for original artworks donated by well-known artists. And it all goes to support Kettle’s Yard. 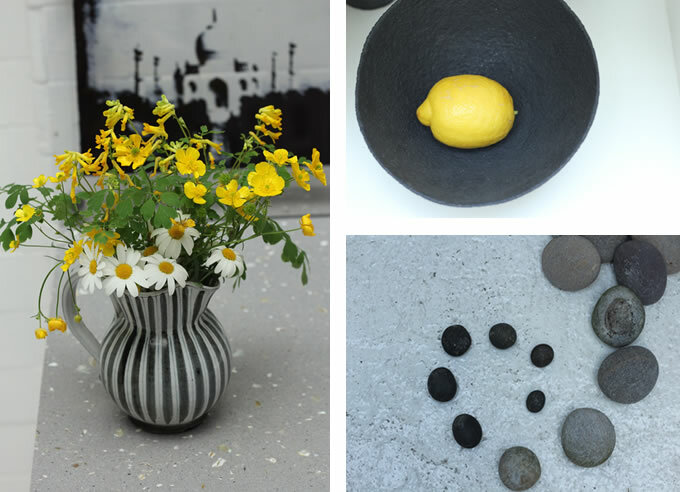 Paintings, prints, sculptures, drawings, ceramics, curios, pebbles, feathers – all beautiful in their own way and all mirroring the ethos of Kettle’s Yard. The black bowl with the lemon is by Sotis Filippides. I loved these ceramics by Carys Davies. Organic, handspun wool from Kay Buxton. 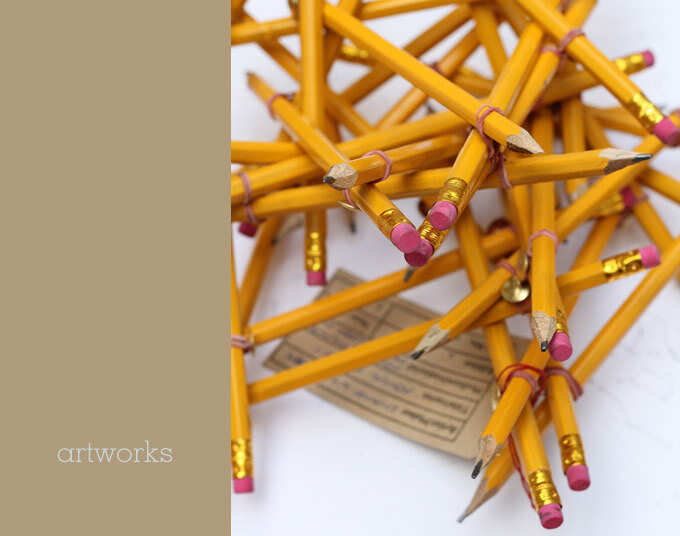 This pencil sculpture is by Shane Waltener. I adored this painting by Neal Jones. This artwork was so simple but I so LOVE it! It’s by Alex Calinescu. 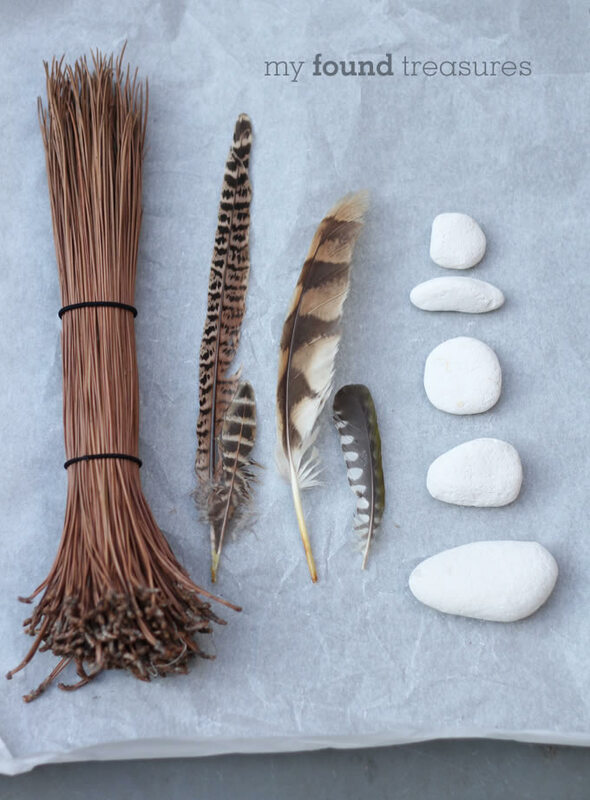 Naturally I wasn’t able to leave without buying a few little things – feathers, a bunch of pine needles and a box of natural river chalk collected from the riverbank side – all absolute necessities for a city-dwelling stylist!! I could have quite happily bought everything there though and filled my house if my budget had allowed. This wonderful sale, which is free to enter, is only on until this Sunday 22nd May, so if you live in or near London, do pop along this weekend or you will miss out. If you want to make a longer day trip and see some of the best interiors shops and a bit of culture, then you can also pop into the lovely Mint, Few and Far, Skandium, The Conran Shop and Caramel (exquisite children’s clothing) which are all virtually next door, then pop to the V&A which is only a 3 minute walk away – try lunch at the cafe there, it’s in the most amazing room. 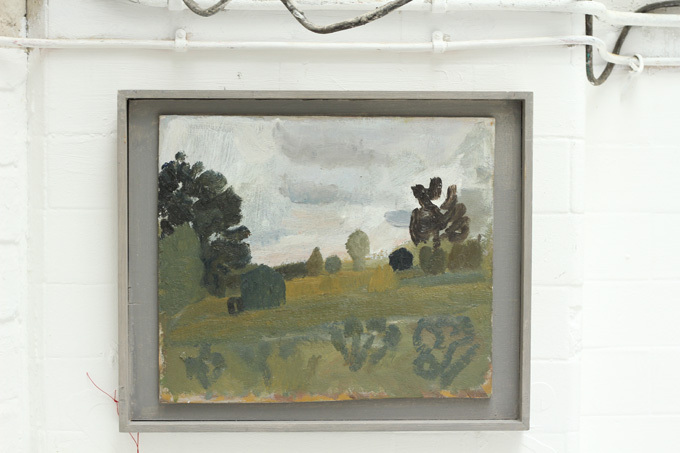 If you want to find out more about Kettle’s Yard you can read my post about my trip there below. 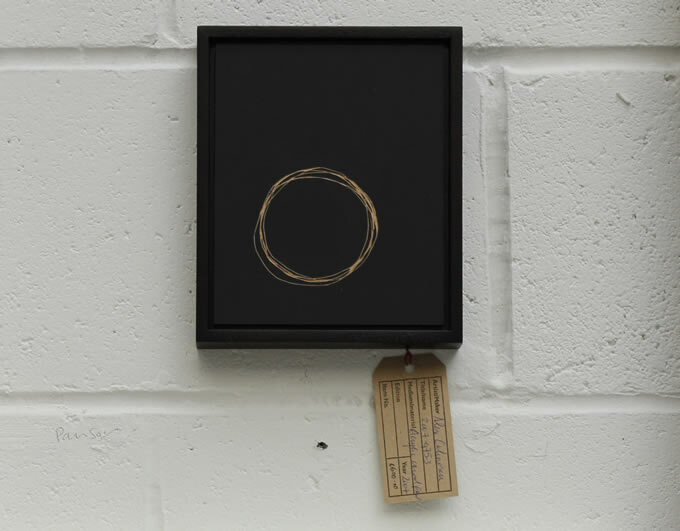 FOUND is organised by members of the Kettle’s Yard Development Appeal Group and you can also follow Kettle’s Yard on Twitter. P.S. Hi to Nicole, Joan and Daphne who I met and chatted with at FOUND yesterday, lovely ladies doing something wonderful. Thank you for letting me take these photos. 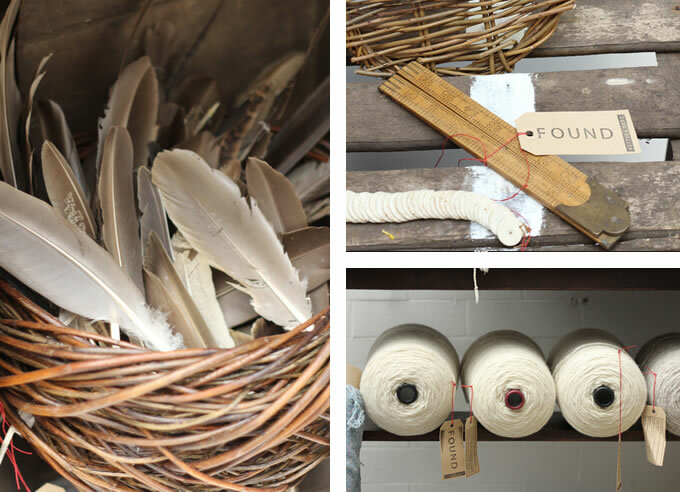 After my visit to the FOUND sale yesterday, I thought it was perfect to post my photos from a trip to Kettle’s Yard to give you some more insight into this wonderful space. I visited this amazing house whilst I was in the middle of writing The Homemade Home. 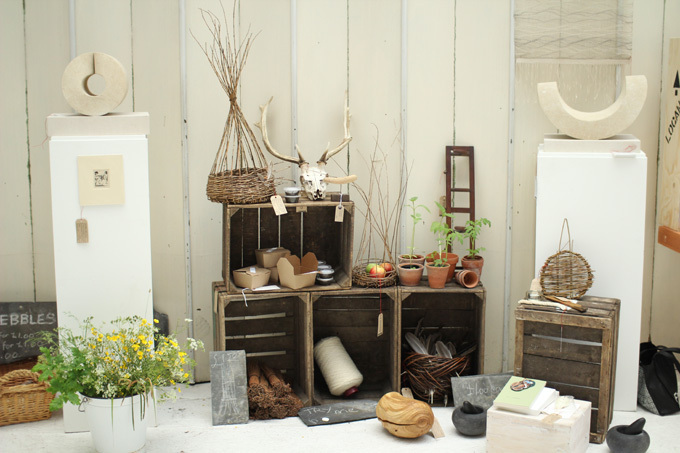 It’s a real inspiration, filled with beautiful artworks and styled with interesting objects and found treasures. 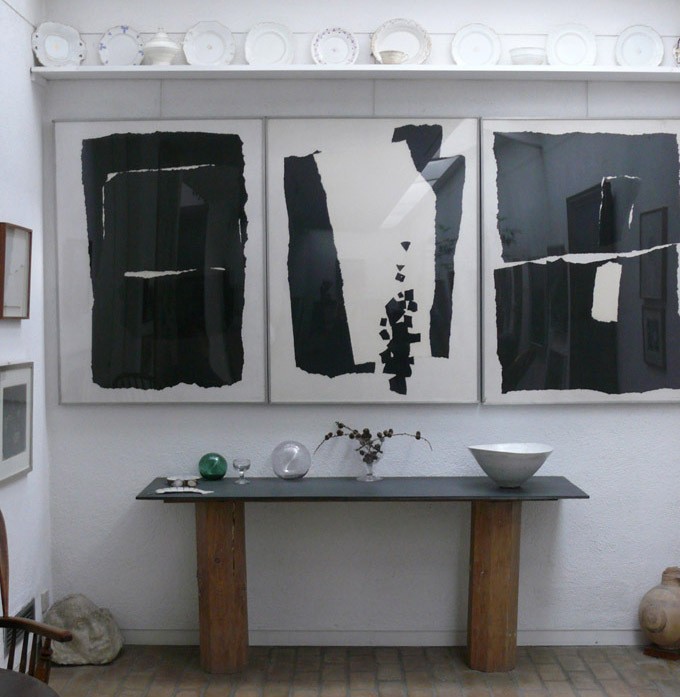 Kettle’s Yard was the home of Jim and Helen Ede who lived there from 1958 until 1973. He was a former curator at the Tate Gallery in London and through his friendships with the leading artists of the period and other like-minded people he amassed a beautiful art collection. It includes paintings and sculptures by some of my favourite artists including Ben and Winifred Nicholson, Alfred Wallis, Joan Miro, Barbara Hepworth and Henry Moore. If you are ever in Cambridge go and spend a bit of time there, it’s inspiring. 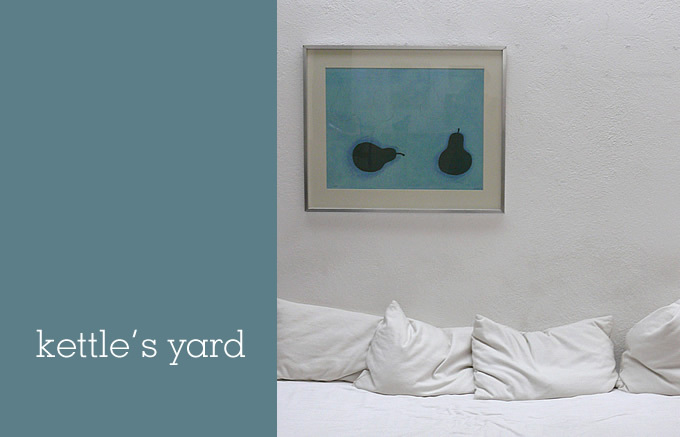 I posted more of my photos of Kettle’s Yard here. 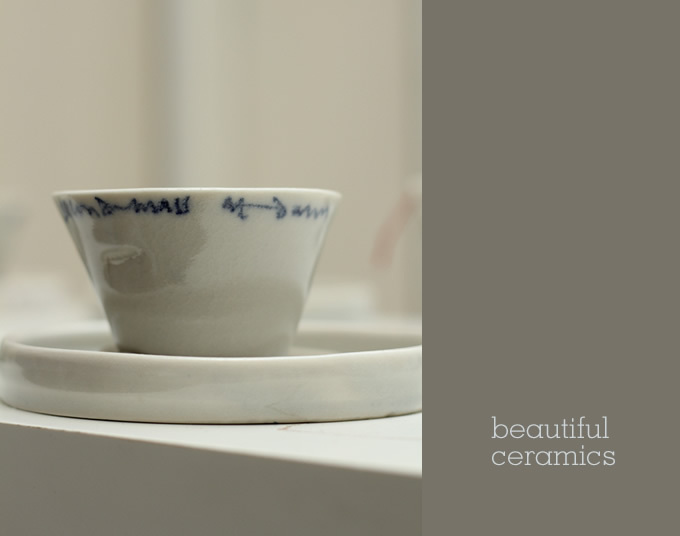 You can find out more information and visiting times on the Kettle’s Yard website. 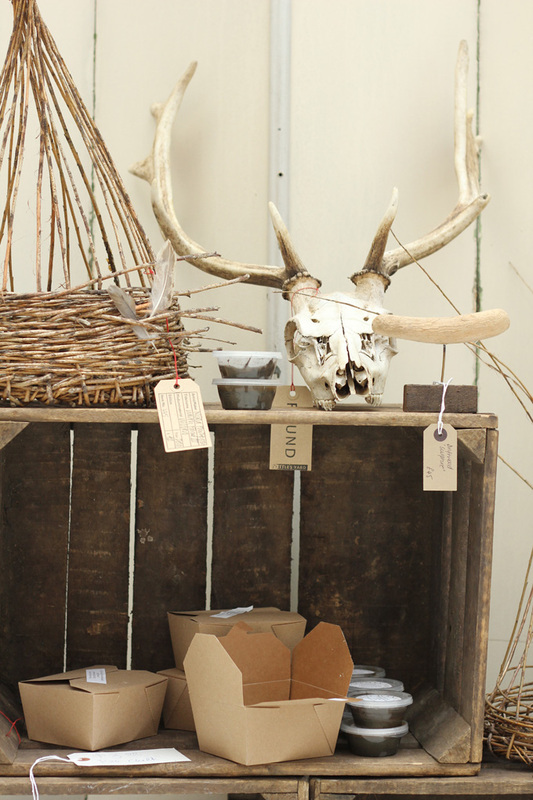 Flea markets and car boot sales aren’t just great places to pick up things for yourself and your home, they can be great for gifts for friends and family too. 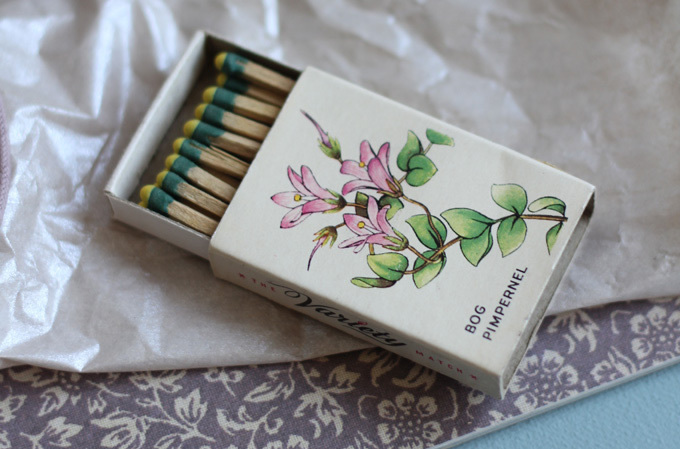 I found these vintage matchboxes recently and they gave me the idea for a sweet little gift for a friend. I then found some lilac cotton string that I had and tied it around the glass in a bow. 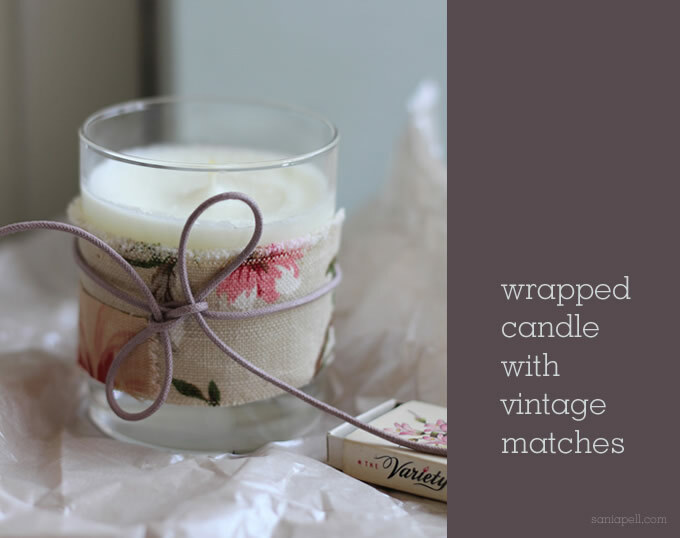 I then wrapped the candle along with the match box in some matching, dusky coloured tissue paper and popped it in a similar coloured gift bag. It’s all very simple to do and makes a sweet little gift that looks pretty, is unique and costs next to nothing! If you don’t have an old candle, you can pick up basic candles in glass very reasonably in a lot of general high street stores. I know John Lewis do some similar or stock up on your next trip to Ikea (I have bags of their tealights stashed in cupboards!). 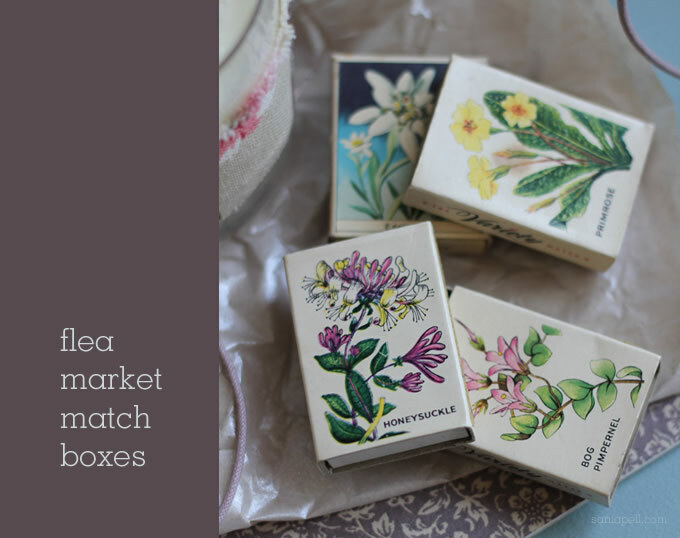 When I came across these vintage matchboxes with fab floral illustrations last month, I loved them and at fifty pence each I knew they were worth buying. When I see something at a boot fair like this I usually end up buying it as you never know when you may find something like it again. It’s perfect as I now have the basis for another three different gifts for friends! Hopefully I’ve shown that for very little you can create a personal, unique gift that your friend will love because you made it just for them. Would it make you happy to receive something like this from a friend?